Pamper your skin with the 5 top anti-wrinkle night creams of 2019 designed just for you! Wanting a picture-perfect and youthful skin is entirely normal, but most women usually believe it’s impossible to achieve that goal. You don’t need expensive treatments that celebrities swear by; choosing the right anti-wrinkle cream is the secret behind smooth and youthful appearance. Anti-wrinkle creams can be used during day or night, but the latter contains a richer formula and serve as a great way to allow your skin to rest during bedtime. So, what anti-wrinkle night cream to go for? You’ll find your answers below. What Does Anti-Wrinkle Night Cream Do? What To See While Choosing The Best Anti-Wrinkle Night Cream? What are the Best Anti-Wrinkle Night Creams? 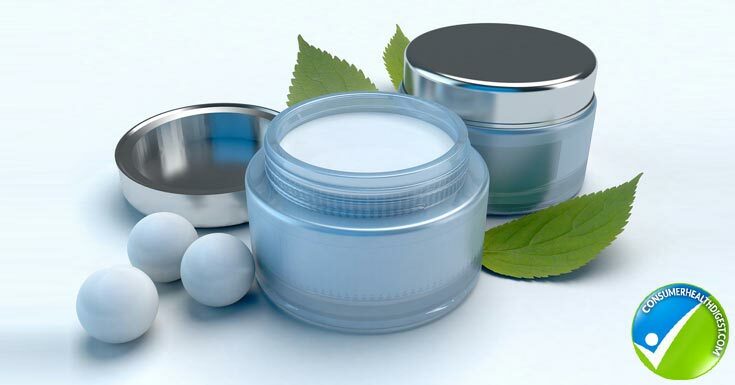 In order to help you out find ideal anti-wrinkle night creams of 2019, we have analyzed current products on the market. Here is the list of top-rated creams that your skin will adore. 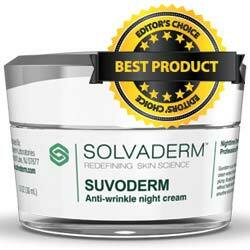 Suvoderm is manufactured by one of the most reputable skincare brands, Solvaderm. The night cream features a blend of powerful ingredients that rescue and repair skin overnight for superb anti-aging effects. Suvoderm contains ingredients such as vitamins B3 and E, hyaluronic acid, retinol or Vitamin A, just to name a few. Applying Suvoderm regularly enhances the synthesis of collagen, neutralizes free radicals, makes skin brighter, provides nourishment, smoothes away fine lines and wrinkles, and so much more. The cream is suitable for all age groups and skin types, and it doesn’t include parabens. Suvoderm costs $89 and it comes with 60-day money back guarantee. Read the detailed review of Suvoderm here. Luminesce Advanced Night Repair is formulated to replenish and restore skin while you sleep by delivering hydrating ingredients and antioxidants. The cream was created by Jeunesse, the global enterprise whose skincare products are available in different parts of the world. The Luminesce Advanced Night Repair restores luminosity and reduces the appearance of fine lines, thus giving you a youthful appearance. Other benefits associated with regular use of this product include improved elasticity, minimized age spots, protection against free radicals, and even skin tone. The price of this cream is $99.95. 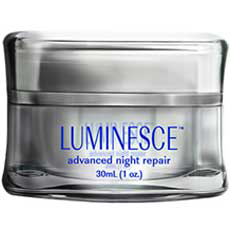 Read the detailed review of Luminesce Advanced Night Repair here. Abella Mayfair’s 24-Hour Day and Night Cream is the perfect addition to your skin care regimen. The cream moisturizes the skin, which is particularly important for women who deal with dry skin and dull complexion. The product contains gentle, yet powerful ingredients which give you a youthful look. This night cream contains coconut oil that reduces wrinkles and softens skin, shea butter to soothe inflammation, aloe vera to heal skin, and Vitamin B3 to improve elasticity. The price of this product is $89.95. read the detailed review of Abella Mayfair 24-Hour Day and Night Cream here. Neutrogena Light Night Cream is non-comedogenic, meaning it doesn’t clog pores and it is perfect for women who are struggling with oily and acne-prone skin. The cream is quickly absorbed and provides moisture immediately while reducing the appearance of fine lines and wrinkles. Light night cream contains sesame seed oil which improves skin health, panthenol which addresses signs of aging, carbomer for energizing skin cells, and dimethicone which improves skin cells life. This is one of the most affordable creams, costs $11.99 only. 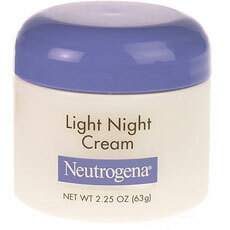 Read the detailed review of Neutrogena Light Night Cream here. Anti-Aging Night Cream from Organyc contains peptides and retinol-based formula to boost collagen production and improve the elasticity of the skin. Applying this cream regularly is associated with numerous benefits including minimized wrinkles and smooth and firm skin. The product has a lightweight emollient texture and a natural earthy scent. It absorbs fast without leaving the oily residue. The best thing of all, you can use this cream on your face, neck, and cleavage at the same time. It comes at a price of $36. Read the detailed review of Organyc Anti-Aging Night Cream here. Before we start discussing the best anti-wrinkle night creams you’ll find this year it is important to learn a thing or two about these products. Night creams work to provide moisture in order to nourish and hydrate your face. Generally, they have a thicker formula than day creams due to a higher concentration of active ingredients. Of course, this is good news for your skin. Applying anti-wrinkle night cream as the cherry on top of your skincare routine before bedtime soothes tired skin and provides even complexion while improving texture. That means that skin won’t be dry or rough to the touch, but silky and smooth. Anti-wrinkle night creams also work to boost collagen production and improve the elasticity of the skin, thus keeping it youthful and minimizing signs of aging. The cream also improves blood circulation, which is important because your skin needs healthy blood flow to stay healthy. This all about the anti-wrinkle night cream; there are also other reviews available such as Wunderlift 60-Second Wrinkle Reducer Review which may help you to decide whether to choose it or not. Positive reviews – Feel free to do a little research and find out more about user experiences. Did they find the cream helpful? Were there any side effects that customers reported? Anti-wrinkle night creams are a practical and an effective solution to minimize signs of aging and improve appearance. Fortunately, it’s easy to find a perfect product when you know what to look for. If you’re looking for your very first night cream or you need a new one, take these five products into consideration.